It’s hard to believe that Studio 54 was open for only 33 months. And that it’s founders, Ian Schrager and Steve Rubell, had almost no experience in the nightclub business when they launched their era-defining disco on the west side of Manhattan in 1977. Studio 54, from director Matt Tyrnauer, chronicles this brief but dazzling period when Studio 54 was the unrivaled superpower of New York’s nightlife scene and throngs of people waited outside every night, hoping to get past the velvet rope. The story is told mainly from the perspective of Ian Schrager, the more introverted of the two partners, and fleshed out with archival footage, photos and print media elements from the time. The filmmakers make excellent use of never-before-seen archival footage shot by Susan Hillary Shapiro and Glenn Albin - both NYU film students at the time – who had shot footage inside Studio 54. Both from Brooklyn, Schrager and Rubell met as undergrads at Syracuse University and recognized in each other a kindred spirit, forging a deep, lifelong bond based on their common roots and shared ambition. Though the pair had some experience running dance parties, Studio 54 was their first nightclub. But if Schrager, then 29, or Rubell, then 33, had any fear or hesitation about diving in, they didn’t show it. Once they found their venue, in an old theater in what was then a seedy part of Manhattan, they jumped headlong into renovations and were ready for business in six weeks. Unable to secure a liquor license prior to opening, they used a series of one day catering permits for most of the club’s first year. Schrager and Rubell were prodigious promoters, sending out “thousands of invitations” and relentlessly working celebrity connections to build buzz in advance of opening. And it clearly paid off as the club was mobbed from the first night on. “They invited the people that everyone else wanted to be in a room with,” says Sandy Linter, a Studio 54 regular. The pair seemed to understand the burgeoning obsession with celebrities in a way that few others did at the time. They knew from the start that celebrities would bring publicity to the club. But what quickly became apparent was that Studio 54 could become an engine of celebrity culture, making everyone more famous, or at least feel that way, and feeding the insatiable appetite for celebrity news. Their gift for scene making, attracting celebrities and risk-taking propelled their meteoric rise and ultimately led to their downfall, which began with an IRS raid in 1978 and ended with convictions for tax evasion in 1979. While the initial tip to the IRS came from a disgruntled former employee, many people still believe that an ill-considered remark from Rubell in a New York magazine article, in which he said that “only the Mafia does better but don’t tell anybody,” attracted the attention of the feds. Either, resentment against the club and its owners had been building since the club opened. Though the two would serve only part of their sentence in federal prison, their incarceration marked the end of the Studio 54 era. Once out, they moved into the hotel business, become part owners in Morgans Hotel and the Royalton, both in Manhattan, as well as the 1980s nightlife institution, Palladium. The two are credited with originating the boutique hotel trend, which Schrager would build into a global empire following Rubell’s death. Studio 54 is streaming now on Netflix. The fourth survey of the footage licensing business from ACSIL and Thriving Archives examines current business conditions, key trends and best practices within the footage industry. Results highlight market stability, confidence in future growth and shifts in customer demand. The Association of Commercial Stock Image Licensors (ACSIL) and Thriving Archives announced today the release of the ACSIL Global Survey of Stock Footage Companies 4 (AGS4). ACSIL and Thriving Archives have worked together to publish three previous AGS reports, achieving strong industry support and participation in each effort. Like it's predecessors, the AGS4 provides a snapshot of the global stock footage industry, tracks evolving trends and examines how footage companies operate, market and serve their customers, providing footage industry leaders with strategic, practical information to help them compete more effectively. The AGS4 is now available to for $950. Click here to buy and download a copy. Click here to read the Executive Summary of the AGS4. Assessing the overall health and well being of the footage industry has been a top research priority since the inception of the AGS series. Based on the performance of the 84 companies within the 2018 dataset, which represent 20% of the estimated 415 footage companies in operation currently, the footage industry is in solid shape, with total industry revenue now estimated at $570 million, a 3% increase over the 2015 estimate of $552 million. “While we did not find significant growth in the dollar value of the overall industry, we did find that the mood had shifted on many key topics, and individual companies appear to be more stable, confident and optimistic,” said Matt White, ACSIL executive director. Highlighting this sense of optimism, the majority of companies said that their revenues had increased over the last two years; that demand for footage was up; and that they expect their revenues to grow over the next several years. Conversely, only 37% believe that production budgets have gotten smaller. All of these findings represent improvements over previous years. While traditional buyers such as such as “independent producers” and “broadcast networks/commercial TV” remain leading customer types, newer categories such as “SVOD Services,” (which includes Netflix, Amazon Prime, Hulu, etc.) increased the most in terms of overall importance to 2018 companies’ billings, followed by “independent producers” and “ad-supported streaming services,” underscoring the growing importance of these newer streaming services, as well as their future potential. The AGS4 is based on an anonymous 47-question survey completed by a group of 84 stock footage companies, launched in mid-July 2018 and running through late September 2018. During this roughly two-month period, multiple attempts were made to contact as many footage providers as possible and make the existence of this survey known to the industry at large. The 191-page report includes 85 pages of detailed analysis and 90 full-color charts visualizing results from the 47 questions asked in the survey. The report covers 11 separate categories, including: Business Conditions; Company Types; Footage Holdings; Headcount; Ecommerce & Order Processing; Order Volume; Pricing; Licensing Practices; Customer Types; Marketing, Customer Development & Growth; and Threats & Opportunities. The Association of Commercial Stock Image Licensors (ACSIL) is a not-for-profit trade association representing the interests of the stock footage community. Our members are the world's leading providers of stock and archival footage. ACSIL members represent and license high quality clips and unique deep content. We service traditional markets such as advertising, film, television and home entertainment while also working with a full spectrum of non-traditional, new and reinventing markets like book publishing, museums, educational vendors, video gaming, internet apps and beyond. Since its inception in 2003, ACSIL has focused on developing a professional network for its stock footage library members as well as negotiating benefits on our members' behalf. ACSIL sponsors multiple stock footage based initiatives including: gathering data on the global stock footage market, forming a Code of Practices committee to lead discussions about new licensing paradigms and monitoring shifts in domestic and international copyright law. ACSIL also reaches out to meet the needs of the production community. We sponsor events, host panel discussions and present seminars on a wide range of footage industry subjects. Whether it's sharing best practices for footage research or talks about licensing and rights clearances, ACSIL is there to support the production community. If you are interested in having ACSIL speak to your group or organization, please contact us so we can make the necessary arrangements. Thriving Archives works with footage companies to develop and execute marketing and business development strategies. Thriving Archives also produces market research reports on the global footage licensing industry and partners with companies providing services to the stock footage industry. In partnership with ACSIL, Thriving Archives has produced the ACSIL Global Survey of Stock Footage Companies 2007 (AGS1), 2011 (AGS2) and 2015 (AGS3). In 2009, Thriving Archives published the Footage Customer Survey: Non-Fiction USA, an in-depth study of the attitudes and perceptions of footage customers from the documentary film/non-fiction program making community in the United States. Janice Tufford and Elizabeth Klinck at the Academy of Canadian Cinema and Television Awards in March. 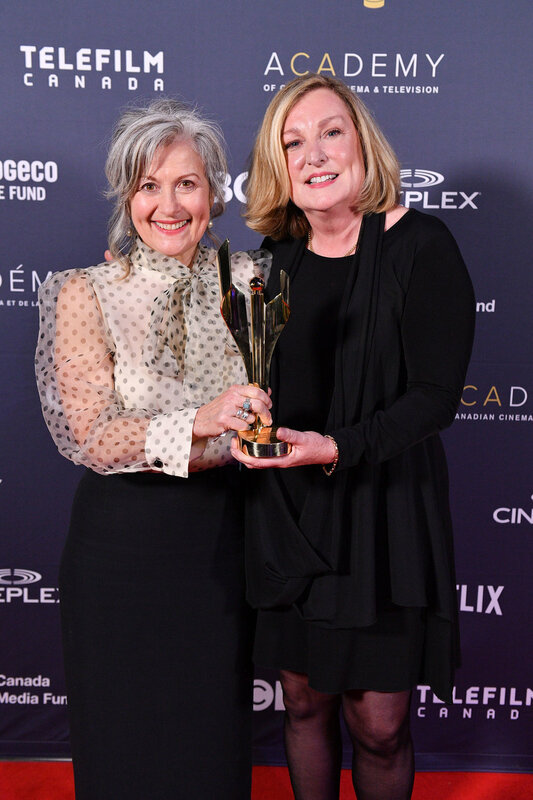 Archive researcher and producer Elizabeth Klinck received an Academy Board of Directors Tribute at the 2019 Academy of Canadian Cinema and Television Awards at the end of March. Some of notable projects Klinck has worked on over her thirty year career include Werner Herzog's Into the Inferno; Thorsten Schütte's Eat That Question: Frank Zappa in His Own Words; Barry Arvich's Quality Balls: The David Steinberg Story; Sarah Polley's Stories We Tell; Hrund Gunnsteinsdottir's Innsaei; and Neil Diamond's Reel Injun. Klinck has has contributed to Emmy, Peabody and Academy Award-winning films and has herself been nominated for an Emmy Award in the craft of research. She has won the 2014, 2015 and 2017 Barbara Sears Award for Best Visual Research from the Canadian Screen Awards. In 2015 she won a Prix Gemeaux for her work on Apocalypse World One and in 2010 she won a Gemini for Best Visual Research for her work on Reel Injun. She has also won a Yorkton Golden Sheaf, been nominated on three occasions for Best Visual Researcher at the FOCAL Awards in the United Kingdom and was honored with the FOCAL International Lifetime Achievement Award in 2008. She is also the founding chairperson of the Visual Researchers' Society of Canada. Back in Hollywood's heyday of the 50s and 60s, legendary photographer and cinematographer Bill Banks captured all the glitz and glamor of the stars at their premieres, industry events, and all-night parties. Producers Library exclusively represents Banks's collection and is now making more than 1,000 still photographs of Hollywood available for licensing. Banks's work is brimming with candid shots showing Jerry Lewis cracking up Frank Sinatra, Richard Nixon and Bob Hope comparing noses, and Don Rickles hamming it up. In addition to those funnymen, Banks managed to capture Jayne Mansfield in her usual stunning form and comically chowing down on a slice of pizza, along with the odd couple of Kim Novak and Vampira dining together at the Beverly Wilshire Hotel. Banks also shot numerous photos of beloved African-American entertainers such as Nat King Cole, Johnny Mathis, Pearl Bailey, Louis Armstrong, and Lionel Hampton palling around with guests. Tony Curtis and Janet Leigh, JFK, Anthony Quinn, Doris Day, John Wayne, Liberace, Conrad Hilton, Charlton Heston, Robert Wagner... the list of celebrities that Bill Banks photographed is seemingly endless. Whether it was snapping photos of the 30th annual Academy Awards arrivals at the Pantages Theater in the heart of Hollywood, the world premiere of Peyton Place at the Beverly Theater or wild partygoers in garish costumes at the annual Halloween bash thrown by Sy Devore, "the man who dressed the Rat Pack", Banks documented everything the era had to offer. The black and white and color negatives have been digitized to 1200 DPI and now join Producers Library’s vast archives of Hollywood and entertainment history. For information on licensing, pricing and to view the clips, contact via research@producerslibrary.com or 818 752 9097. After decades of exclusively dealing with footage, Reelin’ in the Years has expanded their business to include photos (strictly pertaining to music-related artists). While opportunities to rep music-related photos have come up throughout their 20-year history, RITY always turned them down, opting to focus on footage. Their views changed recently when they were offered a number of stunning photo archives to represent, and, based on their vast knowledge of music and the size of their existing footage archive, they realized that they were in a unique place to offer both footage and photos. ﻿Currently, the RITY photo archive is quite extensive, spanning the 1950s - 2000s, and will be growing rapidly as they are add more and more images from world-class photographers. Additionally, they’re working on launching an online database where customers will be able to view and download low-res photos. In the meantime, please send requests for projects directly to nnn. If they have photos that fit your needs they will send you lo-res watermarked copies free of charge. Stay tuned for more news over the next few weeks. British Pathe has appointed Georgina Angless to oversee its North American licensing service. She takes over from Richard Goldthorpe, who had handled North American enquiries since British Pathe launched there in 2015. She will also act as British Pathe's first business development executive for South America as the company looks to explore that untapped market. Georgina has a background in photography, studying the art form at the Edinburgh College of Art and contributing to Elle Magazine and Culture Label, among others. From there, she expanded into image licensing, acting as a Key Account Manager at Getty Images, a Picture Researcher at the Tate, and Head of UK Commercial Image Sales at Bridgeman Images. "Georgina will be crucial to solidifying British Pathe's presence in North America, a market we're still relatively new to," says Alastair White, CEO of British Pathe. "But she will be building our South America strategy from scratch." He continues: "Georgina has extensive experience in all aspects of the industry, from archive research to managing a licensing sales team to having her own photographs licensed. She can offer a fresh perspective on our activities with an aim to establishing British Pathe as the go-to resource for anyone in the Americas in need of archive footage. We're very happy to welcome Georgina to our team." For her part, Georgina is excited about the challenge that lies ahead of her. "I am delighted to be taking care of British Pathe's clients in North and South America and I look forward to meeting producers, broadcasters and researchers in the industry there. I believe my background in licensing puts me in good stead to deal with client requests and I can't wait to delve further into the British Pathe archive to see what it has to offer." For further information, please contact British Pathe on +44 (0)20 7665 8343 or email georgina@britishpathe.com. The British Pathe archive is a treasure trove of 85,000 films unrivalled in historical and cultural significance. Spanning the years from 1896 to 1976, the collection includes footage from around the globe of major events, famous faces, fashion trends, travel, science and culture. It is an invaluable resource for broadcasters, documentary producers and archive researchers worldwide. British Pathe also represents the Reuters historical collection, which includes more than 120,000 items from the news agencies Gaumont Graphic (1910-1932), Empire News Bulletin (1926-1930), British Paramount (1931-1957), and Gaumont British (1934-1959), as well as Visnews content from 1957 to the end of 1979. In honor of Black History Month, NBC News Archives is taking a look at the evolution of civil rights in America. From the Montgomery Bus Boycott in 1955 to the Black Lives Matter movement of today, NBC News has followed history as it has unfolded. Our new collection, Voices of the Civil Rights Movement, highlights interviews with crusaders from the 1950s and 1960s and emphasizes the ongoing nature of the struggle. In 2013, Jesse Jackson reflected on the ongoing relevance of the Civil Rights Movement. “There is an unfinished task of searching for equality,” he said. “We’ll go back to work. That’s all. I mean, it’s the struggle that’s come full circle.” This interview with Jackson is one of over a hundred firsthand accounts collected for Voices of the Civil Rights Movement, a multimedia project of Comcast NBCUniversal and the Equal Justice Initiative. Voices captures their unique perspective as eyewitnesses to both the Civil Rights Movement and its ongoing legacy, who see today’s fight for civil rights within the context of a much longer battle. The series positions Bundy within the shifting social currents of the 1970s, when violent crime was on the rise, the concept of a serial killer was new and mass-murderers like Charles Manson, John Wayne Gacy and David Berkowitz (Son of Sam) terrorized the nation. "Ted Bundy is the quintessential American enigma," Berlinger said in an interview with Refinery29. "He taps into our most primal fear: that you don't know, and can't trust, the person sleeping next to you. People want to think those who do evil are easily identifiable. Bundy tells us that those who do evil are those who often people we know and trust the most." Berlinger makes excellent use of archival footage, immersing the viewer in time and place, capturing the growing dread as Bundy’s killing spree continues unabated and illustrating Bundy’s increasingly fevered mindset. The film also succeeds in showing what the country was like before the advent of modern news-gathering, communication and law enforcement technologies. With little ability to share information and collaborate, even neighboring police jurisdictions were left to pursue their investigations in relative isolation, a gap Bundy understood and exploited as he made his way across the country. 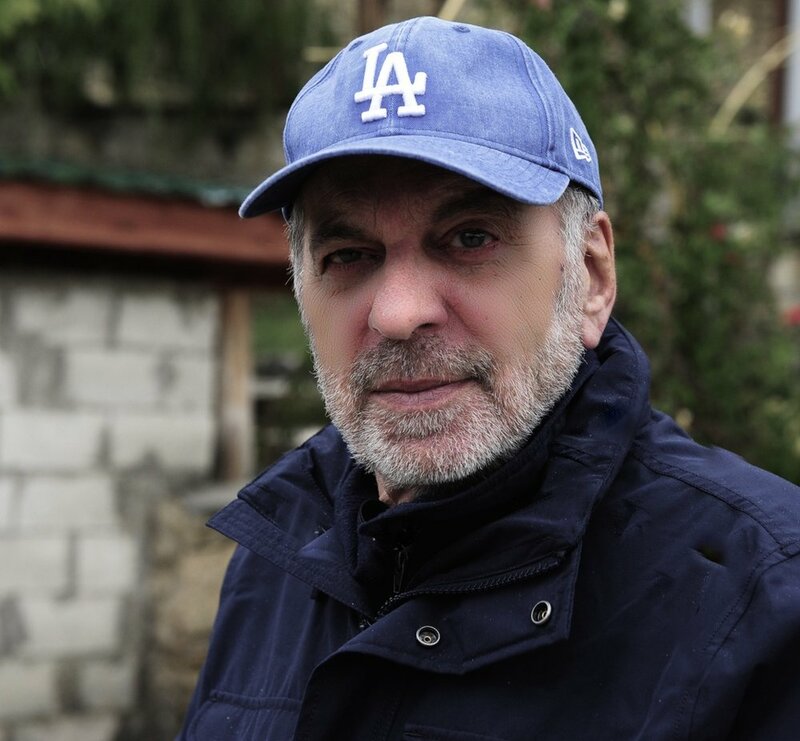 Veteran film and TV producer Chuck Braverman was kind enough to chat with us recently about Westdoc Online, his year-old online interview show. Over the course 22 episodes, he's spoken with many leading filmmakers, including Tim Wardle, Anna Zameka and Steve James, and covered a wide range of topics of interest to the documentary film community. Episode #5, in which he delves into the nitty-gritty of footage licensing, should be of particular interest readers of this site. Westdoc Online founder chuck braverman. Footage.net: Please introduce yourself and tell us what you’re working on. FN: When did Westdoc launch? CB: The original Westdoc Conference was started in 2010 with my friend and business partner (producer/distributor) Richard Propper. We produced the live conference in Santa Monica and then L.A. for six years for non-fiction and reality filmmakers. I launched Westdoc Online in December of 2017 as an experiment to see if I could take some of the best elements of our original conference concept online live to interview and discuss non-fiction filmmaking with participants around the world. This would be live and available free to everyone. FN: What are your goals for the project? CB: I want to stimulate more thought and conversation about documentaries with the people who produce, direct, and distribute the docs and everyone who love movies. I would like to achieve a critical mass audience that makes this concept commercially viable. FN: Who is your target audience and what will they learn from watching your interviews? CB: The target audience includes filmmakers and the people who watch documentaries and other forms of non-fiction. I hope this will help to open up the world of non-fiction and will stimulate more interest in documentaries. I believe that of the 500 or so feature films that were released this year in the states, some of the very best were docs that could compete on every media platform with the better known and publicized studio and indie fiction films. Four of this years short listed Oscar docs grossed over ten million each at the theatrical box office. FN: What have you learned about the documentary business from doing these interviews? CB: I have learned that documentary filmmakers are eager and open to discussing their films and how they were produced. It also seems to be the best of times, and the worst of times for docs. The big players are commissioning more and more with fewer producers. This is a pattern that I have seen before and the first time filmmaker has a higher bar to jump over. FN: How do you pick your interview subjects? CB: I pick my subjects by what interests me and what I think will interest others. I have a very strong sense of curiosity and want to know everything I can about docs and the people that make them. Of the 160 feature docs that were submitted to the Academy this year, I had three of the 15 films and the directors that made the short list on my series and could have had a couple more, but I wasn’t that crazy about some of the favorites. FN: How many episodes have you produced? CB: To date I have produced 22 episodes and they are all available online for free on the WestdocOnline.com site. FN: In one of your interviews, Ondi Timoner said that this is the “golden age of documentary.” Do you agree? Why/Why not? What is driving the interest? CB: I agree with Ondi and the reason is simple. Some of the docs being made today are every bit as good as any 50 million dollar fiction feature film. The audience doesn’t care if it is a doc as long as it is a good story, and entertains. FN: What are some of the biggest challenges your subjects are facing today? CB: Today, as always, getting financed is the biggest challenge for most filmmakers. Should this film be commissioned by a network (with all the accompanying challenges, or acquired (probably for less money and a risk), or a co-pro which means you have to sell it the film more than once with no guarantees. FN: Who are some of the filmmakers you have interviewed so far? Any favorite episodes/interviews? CB: My favorites so far include Tim Wardle, the director of the Oscar short listed Three Identical Strangers; Anna Zameka, director of the short listed Communion; RaMell Ross, director of the short listed Hale County, This Morning, This Evening; Frank Stiefel, Oscar winner for the doc short Heaven Is a Traffic Jam on the 405; Marina Zenovich, director of Robin Williams: Come Inside My Mind; and Steve James, director of Hoop Dreams and the Oscar nominated Abacus: Small Enough to Jail. FN: What are some of the best documentaries you have seen lately? CB: The Last Race directed by first timer Michael Dweck is stunner. Beautifully shot and very immersive. Disappointing that his distributor didn’t get into the Oscar race sooner and with more of a push to get this film noticed. (That is a whole other topic of discussion about promoting docs for the awards circuit.) Hale County, This Morning, This Evening is an art film/doc masterpiece. A different kind of doc. They Shall Not Grow Old from Peter Jackson is an incredible breakthrough in technology and a surprisingly emotional experience. And Three Identical Strangers tells a great story in dramatic and compelling format. FN: What makes for a great documentary film? CB: The three most important elements are; story, story, and story. FN: We are of course very interested in the role of archival footage in documentary filmmaking. Have any of the filmmakers you’ve interviewed talked about their use of archival footage? CB: Episode #5 was all about licensing clips and archival footage. It featured a stock footage house, producer, the head of stock footage association, and an IP attorney. I believe that archival footage is a very important part of documentary filmmaking and the more knowledge we have about licensing footage from various sources, the better. FN: How has Westdoc evolved over time? CB: In the beginning of Westdoc Online was more about multiple people from different locations live on the web. Over time, I have concentrated more on one on one interviews and less have been live. From a technical point of view, I have learned more about live streaming and the hardware and software needed to put on a professional series. FN: What’s next? Where would you like to go from here? CB: I am planning a pilot experiment producing an episode with myself and a guest reviewing docs that are available online. We’ll see what happens. Global ImageWorks has a variety of new 4K footage in stock, including gritty “breaking-news” style footage of riots, disasters and accidents; spellbinding footage of world cities, aviation, NASA, and much more from the 1950s onward, all transferred from the original film to 4K; and historic travel footage now available in 4K from the original film print, including footage of world destinations as they were decades ago. For authentic footage of points around the globe, this collection is a trip back in time. For more information, please contact GIW's in-house collection expert, Morgan Strong, at morgan@globalimageworks.com. British Pathé has this week launched a new website for its online video-on-demand service “British Pathé TV”. The channel has been completely redesigned for 2019 and features additional content. British Pathé TV targets viewers other streaming services can’t cater for, focusing on specialist audiences such as history buffs, royal watchers, cinema aficionados and train enthusiasts. It is designed to complement the existing British Pathé newsreel archive (which remains free-to-view on the main British Pathé website). Visit www.britishpathe.tv to explore the full-length documentaries, interviews and classic movies that the revamped subscription service has to offer. The 1955 world premiere of To Catch a Thief and other black and white candid footage of Grace Kelly and Prince Rainier was uncovered at Producers Library this month. The footage shows a stunning Grace Kelly with Prince Rainier III in 1955 and 1956. Other rare Grace Kelly footage at Producers Library includes the 1955 Beverly Hills post- Academy Awards party where Bob Hope jokingly grabs her Oscar. She and Prince Rainier can also be seen at a 1963 Philadelphia reception with distinguished guests including their greeting of singer Eddie Fisher. The collection is rounded out with news footage and stills, as well as her movie trailers. This newly discovered 16mm footage has been scanned at 2K resolution and now joins Producers Library’s vast archives of Hollywood and entertainment history. November 22, 2018 will mark the 55th anniversary of President John Fitzgerald Kennedy's assassination. A mythical figure in American history, Kennedy served from January 20, 1961 to November 22, 1963. His short period in office was marked by the Bay of Pigs, a series of Cold War-related crises and the fight against racial segregation. To honor the memory of this pivotal leader and help producers develop new projects, Ina has assembled an extensive collection of more than 800 clips and programs dedicated to commemorating the 55th anniversary of the Kennedy assassination on Ina MEDIAPRO. Ina offers you also a calendar with a rich selection of key events and anniversary dates with videos to help clients plan ahead on all their projects. All footage research needs can be fulfilled online: search, create and download low-res clips and find footage with guaranteed rights. Ina is one of the largest footage sources in the world. For their professional clients, the Ina MEDIAPRO website provides a free access to over 1.7 million hours of digitized video and audio “treasures”. ACSIL has announced it’s final slate of panels and exhibitors for it’s upcoming West Coast Meet Up, set for Saturday, October 20th in Los Angeles. The event, which will take place at Getty Images’ LA facility, will include three panels focused on the contemporary footage trade, an exhibition featuring 16 leading footage archives and a networking reception. The event will kick off at 2pm with an hour devoted to exhibitors, where attendees can meet the archives in person. Exhibitors will include Adobe, Bridgeman Images, Footage.net, Getty Images, Global ImageWorks, Huntley Film Archives, INA, NBC News Archives, Prairie Pictures, Inc., Reelin' In The Years Productions, RockHouse Images, Vimeo, Inc., WGBH Educational Foundation and WNET. The first panel, presented by the IDA, begins at 3pm and will explore How Documentary Filmmakers Work with Archival Footage to tell innovative stories and make history come alive in the present. Moderated by Clarie Aguilar, Director of Programming and Policy at the IDA, this panel, will look at the archival production process from the filmmaker's perspective. Panelists will include Laurens Grant (The Black Panthers: Vanguard of the Revolution; Jesse Owens); Lyn Goldfarb (Bridging the Divide: Tom Bradley and the Politics of Race; California and the American Dream); and Johanna Demetrakas (FEMINISTS: What Were They Thinking? ; Crazy Wisdom: The Life & Times of Chogyam Trungpa Rinpoche). The second panel, presented by CLEAR, will include a wide-ranging discussion of The Pros & Cons of Searching Stock Websites, Script Clearance and Fair Use. The panelists, whose combined experience in entertainment exceeds 100 years, are all seasoned veterans in their respective specialties and are sure to bring deep insights to this lively talk. Panelists will include Suzy Vaughn, Esq., who has been involved with research and legal rights clearance since 1981; Gregory Fein, who has worked steadily throughout his career on shows like, Sightings, Real TV, World’s Most Amazing Videos, The Showbiz Show with David Spade, and managing the rights and clearances for 10 seasons of Comedy Central’s TOSH.0; and Roger Memos, who has worked in the television industry as an archival researcher, clearance specialist and producer for over 30 years. The third panel, presented by ACSIL, will provide a Sneak Preview of the ACSIL Global Survey 4 (AGS4), the fourth in a series of footage industry reports produced by ACSIL and Thriving Archives, aimed at helping leaders in the footage industry make critical decisions year-on-year. The AGS4 has just closed and the results will be published as part of ACSIL’s kick off in 2019. But you don’t have to wait that long for a snapshot of the global footage industry! The panel will be moderated by Matthew White, Executive Director of ACSIL, who will discuss the report with David Seevers, president of Thriving Archives and the principal author of the ACSIL Global Survey series. ACSIL’s West Coast Footage Meet-Up will take place on Saturday, October 20, 2018 at Getty Images, Los Angeles 6300 Wilshire Blvd, 16th Floor Los Angeles, CA 90048. If you're in LA this weekend, we hope you'll come by. Attendance for footage buyers, producers, filmmakers and researchers is free, but registration is required. FootageBank pulled the new site together primarily with its team of three, and an off-site developer. Carol Martin led as Project Manager and Information Architect. Erik Dahlgren acted as Usability Lead and Content Delivery Manager. Paula Lumbard, President of FootageBank, filled the role of Checkbook Chair. Clients can now license FootageBank’s diverse collection of rights-managed footage with a few clicks. However, offline ordering will still always be welcome, as customer service is one strength the small but mighty FootageBank is renowned for. So come silently or come loudly, just come visit www.footagebank.com and see for yourself. COUPON ALERT! Reference Coupon Code: FootageNet upon checkout and receive a 10% discount off all clips licensed through the end of October. This year marks the 40th anniversary of the tragedy at Jonestown. Officially called “The Peoples Temple Agricultural Project,” it was a settlement established by Reverend Jim Jones in the 1970s. Jones had started the Peoples Temple in the 1950s, a religious group concerned with racial equality and social justice. The settlement in Guyana was meant to be the beginning of their socialist utopia. However, conditions were brutally harsh at Jonestown and followers were forced to work long days with little food. Jones grew controlling and paranoid that the CIA was trying to sabotage his dream. In November of 1978, California Congressman Leo Ryan flew to Guyana to investigate claims of abuse at Jonestown. Nine journalists accompanied Congressman Ryan, but NBC News owned the only camera allowed on the trip. The exclusive footage they captured provides a glimpse of what life was like on that last day at Jonestown. In just 24 hours, nearly everybody on the tape would be dead. After touring the settlement, Ryan and company returned to the Port Kaituma airstrip with 16 defectors in tow. One of those defectors was secretly a Jones loyalist and opened fire on the group. All in all, five people were killed on the airstrip, including Congressman Ryan, NBC News cameraman Bob Brown, and NBC News correspondent Don Harris. Back at the compound, Jones gathered his congregation in the pavilion, where followers were made to drink a mixture of Flavor Aid and cyanide. By the end of November 18, 1978, a total of 918 people had died in Guyana. Join NBC News Archives in remembering 40 years since the Jonestown massacre at NBCNewsArchivesXpress.com. There are a few tables left for ACSiL’s West Coat Meet-Up, set to take place on Saturday, October 20, 2018 at Getty Images’ LA facility. Footage archives are encouraged to reserve a table now before they are all gone. Footage buyers can meet the archives, attend panels and network for free, but space is limited so RSVP soon to confirm a spot. 4 ft rectangular table with linen, chair, and table sign. No AV is provided, but exhibitors can bring their own laptop or monitor that must sit on the table. Electricity and internet access provided. No backdrop signage or deliveries. Space is limited, and your reservation will not be complete until payment is made via emailed invoice. Space is limited, and registration or a reservation is required for attendance. Footage buyers can register for free. Attendance for non-ACSIL member footage licensors is $100. Free validated parking available at 6346 Wilshire Outdoor parking lot only! ACSIL’s, Association of Commercial Stock Footage Licensors, panel will bring leaders from the world’s most important archives to discuss the challenges and successes of stock footage industry and provide attendees with a sneak peek of the upcoming ACSIL General Survey 4 (global view on footage industry). CLEAR’s, Association of Clearance and Research Professionals, panelists will share their expertise on rights and clearance administration for film and television, which all footage sellers, rights managers, producers, and researchers will not want to miss. IDA, International Documentary Association, has created a community of the world’s best documentary makers that are ushering in a “golden age” of archival footage use in production, looking to researchers to make a deep dive into archives for the best and most unique footage, and pushing for more flexible clearance deals. This panel will explore how documentary artists are producing their projects, working with archives, finding footage, and getting footage cleared now. t FootageBank, 2018 has been a year full of blueprints, contractors, demolition, and construction. No, FootageBank hasn’t moved again – it’s been building a handcrafted e-commerce site. Like constructing an invisible house, creating an e-commerce site has meant tearing down the current site’s load-bearing walls to watch ceilings collapse. It has meant selecting hardware to match finishes that don’t look like the samples. New plumbing, new wiring, new roof, and a new experience – a massive project for a tiny team, led by Carol Martin. But the dust will settle, FootageBank’s e-commerce site will open next month, and it will be a beauty! It has been ten years since the beginning of the Great Recession. The cataclysmic event started in the United States, with the crash of the subprime mortgage bubble in 2007. Other factors, such as predatory lending, fraudulent underwriting practices, and excessive risk-taking by financial institutions, increased the debt and eventually escalated into a full-blown banking crisis. In the United States leading up to the crash, high mortgage approvals and low interest rates triggered a spike in home purchases. This drove up housing prices, which led to large numbers of homeowners borrowing against their homes as an apparent windfall. Unfortunately, many homeowners were unable to pay back their loans, and high delinquency rates led to the rapid plummet and devaluation of financial assets. The banks that had invested in the loans were facing a major liquidity crisis. In other words, the bubble had burst. On September 15, 2008, the investment bank Lehman Brothers filed for bankruptcy. By the next day, at least seven other major financial institutions were all expected to follow suit. To prevent this outcome, and a possible collapse of the world financial system, the US federal government paid several trillion dollars to bail out the banks. Despite the bailout, the crisis was followed by a global economic downturn: the Great Recession..
NBC News Archives has assembled a trove of clips covering the 2008 financial crisis. Click here to see the best.